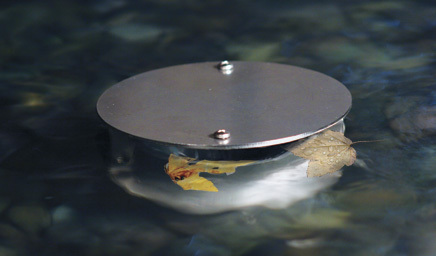 In system where a pool is present at the base of the Preformed Fountain a vertical pipe skimmer can be installed to pull surface debris from the feature into the Filtered Pump Vault. From there the debris is caught in the built-in filter baskets which only require periodic cleaning. By constantly pulling debris from the feature, less debris will be visible to disrupt the visual effect of the fountain. 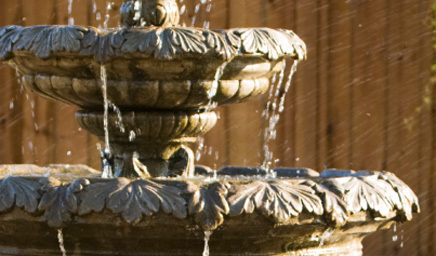 Many preformed fountains are plagued by unsightly string and single-celled algae. Both of these forms of algae grow when exposed to sunlight. By utilizing the Vanishing Water Design Option, all of the system water is stored underground when not in use which limits the water’s exposure to sunlight thus drastically reducing the amount of algae in the water. With the absence of string and single-celled algae and the system debris being collected in just one easily accessible place, maintenance time on the system is greatly reduced. Minimize cleaning time and water replacements by collecting debris in one easily accessible location. In a standard preformed fountain installation there is not an external pump chamber therefore integrating an auto-fill device, pump safety switch or overflow pipe can be challenging. With a Berkey Fountain Pump Kit, all of the pumping hardware is located in the Filtered Pump Vault outside of the Fountain. 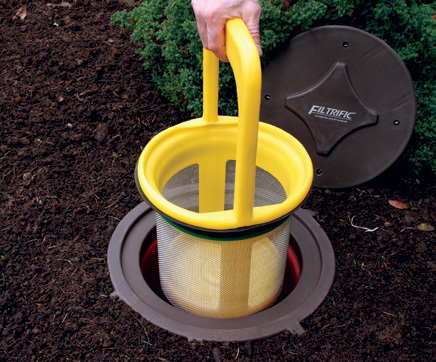 Overflow Pipe - Integrated into the Filtered Pump Vault, the overflow pipe routs extra water to a drainable spot in the landscape or storm sewer. The overflow port is utilized when an over abundance of water enters the system due to heavy rainfall. Often in a preformed fountain system, the pump ends up being placed in a difficult to access location. Accessing the pump for either service or repair can be very laborious and time consuming. 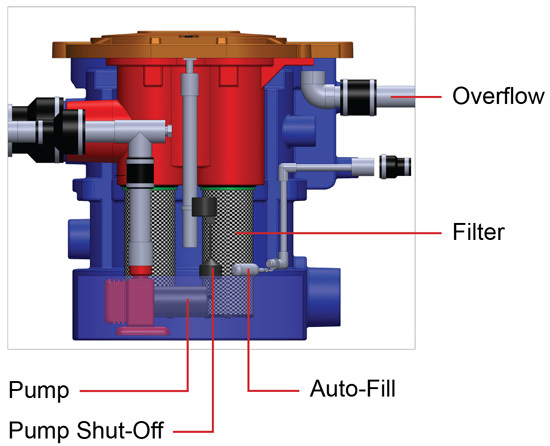 The Berkey Fountain Pump Kit solves this problem by placing the pump and pumping accessories in an underground filtered pump vault, away from the waterscape where components are out of sight and easy to service.